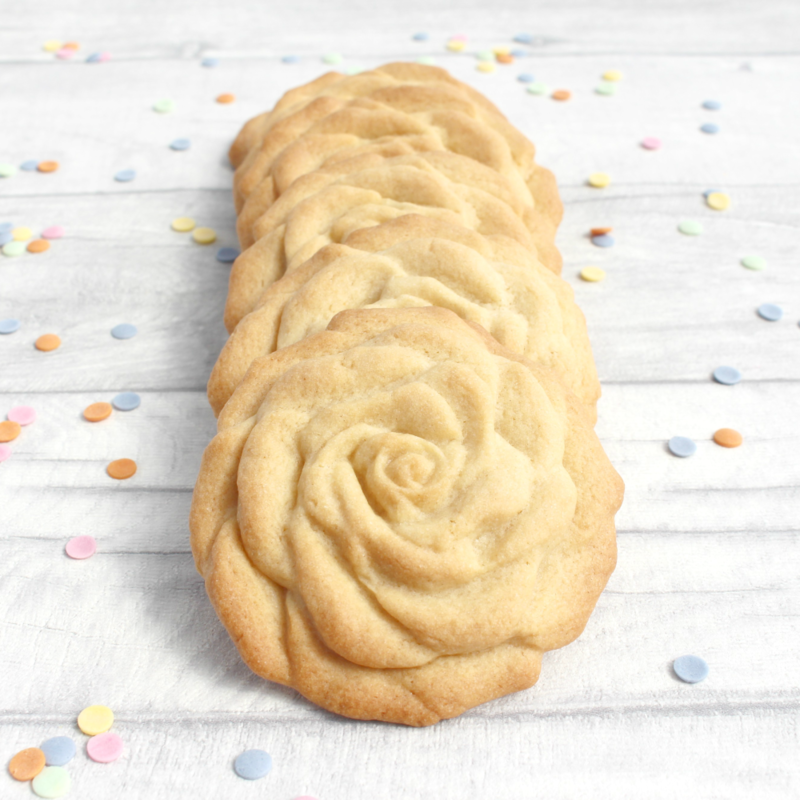 Six delicious moulded rose cookies, ideal for party or wedding favours or a birthday gift! This listing is for six biscuits as shown in vanilla, chocolate or gingerbread flavour. Other amounts are available.